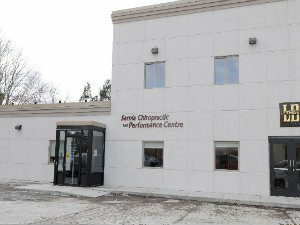 Our clinic is a full-service facility located in Sarnia, Ontario, Canada. We specialize in treating musculo-skeletal injuries and conditions through a comprehensive bio-mechanical assessment and specific treatment provided by registered professionals. Services include; Chiropractic, Active Release Therapy, Sports Injury Management, Orthotics, Acupuncture and Massage Therapy. We also routinely see WSIB (workplace injuries) and motor vehicle accident injuries for treatment and rehabilitation. New patients are always welcome and can usually be seen on the same day the office is contacted. No medical referral is required to make an appointment and most extended health insurance plans cover Chiropractic care.